Best Semi-Auto Shotgun: Is It Worth Your Money And Time? Perhaps only next to the handgun, the shotgun is one of the most iconic firearms of all time. It’s made its way into warzones, shooting ranges, and the collections of gun enthusiasts around the world. Great for target practice and self-defense alike, shotguns have earned their popularity through performance. But shotguns come in many forms. This doesn’t just mean various brands or different gauges – it means semi-automatic options as well. What is a semi-auto shotgun? What makes it different than a regular shotgun? And how are they useful? Understanding exactly what a semi-auto shotgun is can help a person make better decisions about which one to buy. Here’s a guide on what the semi-auto shotgun is, how it’s useful, and ten top options buyers today can consider. What is a Semi-Auto Shotgun? How is it Useful? 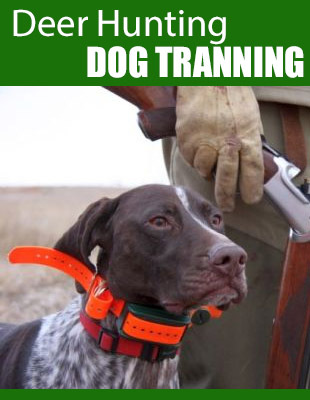 Shotguns are known for packing a lot of punch with every pull of the trigger. While even pistols can be relatively tame in the damage they do depending on where the shot is aimed, shotguns are designed to obliterate their target. Semi-auto shotguns first became common with the Browning Auto 5. Designed to be a faster, more responsive shotgun that made things easier for the user, the gun lives up to its title. The term “automatic” doesn’t always reference a gun’s firing speed. In terms of semi-auto shotguns, it’s more about helping the user get more shots out of their weapon with less effort. 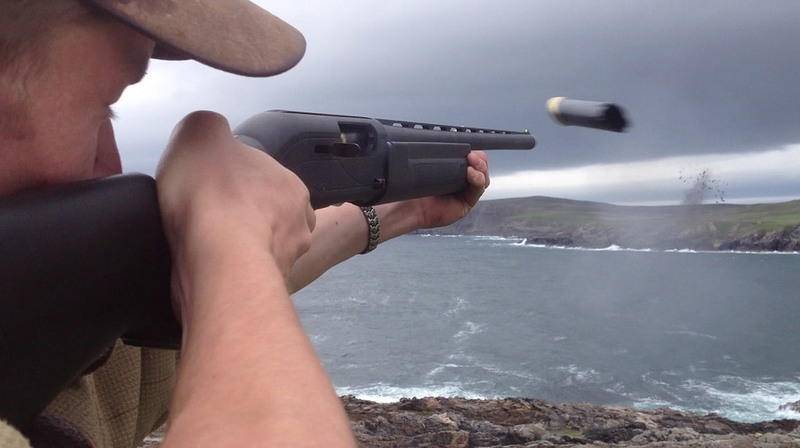 Traditional shotguns kick a used shell out and feed another in through the use of a pumping mechanism. Semi-auto shotguns do this automatically via either a gas-pressure system or through inertia through the gun’s recoil. Though technically this can lead to a faster rate of fire, it’s main function is to reduce the effort needed by the user for multiple shots. Semi-auto shotguns can be great for soldiers rushing through hostile territory, target shooters looking to improve their best time on the range, and even homeowners who want to make sure they can handle any intruder without worry. How We Choose Our Ratings? Rating a semi-auto shotgun involves analyzing the hardware and design from the stock to the end of the barrel. In addition to gauging the construction to ensure it handles well and holds up over time, there’s also the matter of judging the semi-auto capabilities. Semi-auto shotguns should have reliable shell cycling mechanisms to ensure new ammo can be fed into position while spent shells are tossed out. There should be no cases of stalling or jamming, and the best way to judge this is through analysis of the design as well as user feedback. Nothing says more about a gun than the reputation it has among buyers. We base our choices off the parts and the reputation to compile a definitive list of the best semi-auto shotgun options on the market. Here are ten models we think deserve a spot in the top ten. What is the Best Semi-Auto Shotgun on the Market? Using Stoeger’s renowned inertia-powered operating system, the 3500 delivers high-level performance and reliability. It’s a versatile gun that can use 2-3/4”, 3”, and 3-1/2” shells to accommodate many different shooting preferences. It also comes with four choke tubes (improved cylinder, modified, full, and extra-full turkey). The Stoeger 3500 features a recoil reducer in the stock, making it easy for users to fire it without painful kickback. It also features a receiver drilled for Weaver-based scopes and comes with a shim kit to help users adjust the gun and get the right feel for optimal performance. It’s a great-looking firearm that has all the features a person could want in a semi-auto shotgun. From reducing recoil to accommodating multiple shell types to reduce the chance of jamming, the Stoeger 3500 does it all. Mossberg is a massive name in the world of shotguns, and for good reason. Their 930 SPX offers a gas system that helps cycle shells and even vents excess gas for improved performance. It features a design intended to reduce stress on operating components, thus extending the lifespan of the weapon. The gun easily cycles 12-gauge 2-3/4” and 3” shells and features a magazine-release button for quick reloading. It also comes with a picatinny rail and ghost ring sights, with a drilled receiver ready for scope installations. Mossberg does it again – the 930 SPX offers a lot in terms of performance and convenience, making it a great choice for those new to semi-auto shotguns and those who have used them for years. As the name suggests, this model from well-known shotgun maker Remington is designed for use in competitions. That means it cycles 12-gauge shells with smooth precision, and it’s been proven in the field through many different tests. While it comes with a fixed-magazine that only holds 3 shells standard, it is a powerful and reliable gun that looks the part and performs well. It’s designed to offer less recoil for a more comfortable shot and requires less maintenance which translates into fewer cleaning and servicing sessions. Remington hit the mark with this one. Affordable and designed for high performance, it is a great fit for shooting competitions and home defense. With a name like Benelli and a stamp of approval from the U.S. Marines, the M4 Tactical is already a great choice on those merits. But its sleek design, auto-regulating gas-powered operating system, and extended magazine, it’s great in terms of functionality as well. It comes with a picatinny rail and pistol-grip stock for improved handling and better accuracy. The accuracy is further aided by a ghost-ring rear sight and modified choke tube. Finally, the gun comes in matte black and CeraKote finishes. This gun has everything from sleek looks to great features and a design that can satisfy the most looks-focused shooter out there. 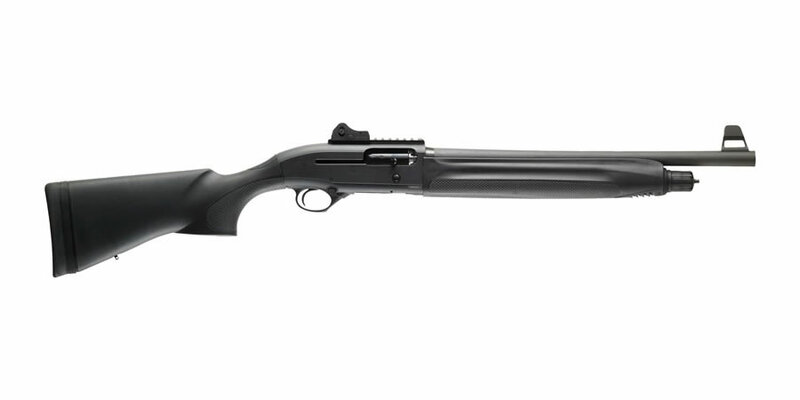 Another great model from Benelli, it’s a top choice for best semi-auto shotgun. Also known as the Jerry Miculek series, the 930 JM Pro has been built to the precise specs of the top-ranking competitive speed shooter. It has a nine-round extended magazine tube and a beveled loading gate to help users stay in the action and reload quickly. It also features barrel clamps for improved stabilization and a dual-gas-system for smooth shell cycling. Finally, it has an oversized bolt handle and bolt release to make it easy to use no matter how fast the action is. While some may say this gun is sold on its name alone, that isn’t entirely true. 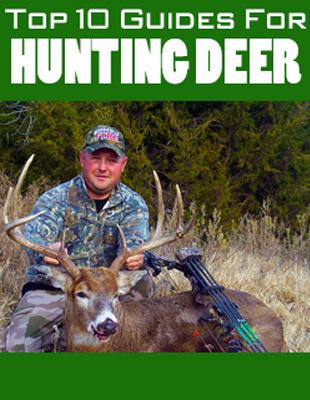 It has the specs a champion shooter prefers, making it a great gun for competition and defense alike. Another popular model from Benelli, the M2 Tactical is considered a workhorse in the popular gun-maker’s line. Though not as robust as its cousin the M4, it has a 4+1-round capacity and a barrel length of 24-inches. It comes in matte black finish to deliver a rugged look that matches its performance. It has an inertia system that lets it digest nearly any 12-gauge cartridge. From 2-3/4” shells to heavy 3” magnums, the M2 is a smooth operator that makes for reliable performance wherever it is used. Benelli’s M2 is known as a popular semi-auto shotgun for good reason. From its sleek appearance to its high-performance features, it offers a lot of appeal. While Weatherby may not be as popular a manufacturer as some of the others on this list, the SA-08 has all the features a person could ask for in the best semi-auto shotgun. This includes its dual-valve system for a greater range of choices in loading, and a CNC-machined receiver for smoother performance. The SA-08 also comes with a vented top barrel for quicker heat dissipation which also helps with accuracy. The integrated multi-choke system has three different options, providing users with great choices no matter their shooting preference or the application they find themselves in. While the name may not elicit a lot of responses from those who only know the shotgun industry’s biggest players, this model makes up for it with a number of high-end features and a versatile design. With the beloved Browning name and an unmistakable humpback design, the A5 has a receiver that is integrated into the rib, allowing for a longer sight plane and thus promoting more accurate shooting. It also has minimal recoil, though enough to allow for a recoil-operated cycling system. A compact and light design makes it easy to handle, aided by the comfortable grip. As for looks, this shotgun offers a beautiful walnut stock with pristine glossy design, and a deep blued barrel. This makes it as eye-catching as it is reliable. It looks like a classic shotgun reminiscent of the days when big-game hunting was all the rage. It has features to help promote accuracy, smooth operation, and comfort, making it a great all-around choice. Equipped with a gas-operated shell-feeding system, this popular model from Beretta has a 5+1 capacity and can feed different-sized loads with ease. It also has a soft-recoil mechanism for added comfort while shooting and ghost-ring sights for improved accuracy at mid-range or even long-range. Smart action means this tactical shotgun is great in a number of situations, including home defense, shooting competitions, and even law enforcement. This gun has all the high-quality features Beretta is known for, and more. With its sleek looks and smooth cycling, it is an easy candidate for one of the best semi-auto shotgun options out there. With over a century of experience creating autoloading shotguns, FN has mastered the science of semi-auto. Their SLP MK features gas-operated shell cycling, and a durable aircraft-grade receiver made from strong alloy material. The synthetic stock is also strong, helping the weapon hold up in intense situations and during long periods of use. It comes with an extended magazine and has adjustable rifle-style sights for keeping shooters in the game whether they’re fighting criminals or taking down paper targets on the range. From its sleek looks to its high-performance features, this gun is robust enough for use by law enforcement but user-friendly enough for home defense by someone who is buying their first semi-auto shotgun. There are many people who find themselves in the market for a semi-auto shotgun for the first time. Not everyone has experience with these firearms but they’re a good option for both target practice and home defense. Even law enforcement and military groups may find themselves needing new semi-auto shotguns. How can they determine which is the best? It depends – while some people may look for a higher capacity, others may look for a more versatile loading system. Some people may prefer a gas-powered system while others may want one that depends on inertia. There are many qualities a person should look for when they’re in the market for the best semi-auto shotgun. Going with well-known brands increases the likelihood a person will find a better option. 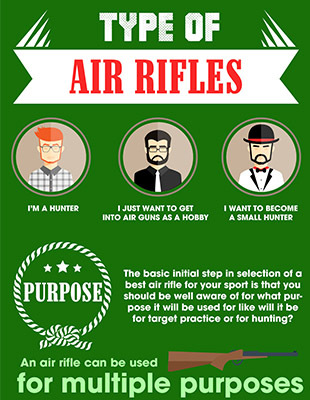 However, looking at things like the cycling system, sights, and even recoil-reducing features can help a person determine how well their semi-auto shotgun will perform. Whether a person is facing off against criminals on the streets, targets at the range, or even home invaders, finding the best semi-auto shotgun is important. The most important thing to consider is how the weapon feels, and there’s no better way to determine this then by holding it and testing it out. Many gun stores have testing areas and taking any of the models mentioned on this list to said testing areas can yield good results and help new or veteran shooters find a great gun for whatever need they may have. The Glock 26 VS 43 – Which is the Best CCW Pistol for You?